How are varicose veins diagnosed and what tests will I need? The doctor will take a medical history and then during a physical exam, the doctor will check your legs while you are standing to assess the location and size of your veins. 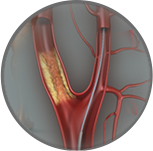 Following the initial consultation the doctor will request that you have a venous insufficiency Duplex scan, an ultrasound exam to check the blood flow in the veins. 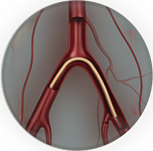 This will help to determine in which veins are the valves damaged and blood flowing in the wrong direction - be it superficial veins, deep veins or perforating veins which connect the two systems together. Venous stasis ulcers -These are ulcers that result when the enlarged vein does not provide enough drainage of fluid from the skin. As a result, the skin does not receive enough oxygen and an ulcer (skin sore) might form. Phlebitis - This is inflammation of the vein. 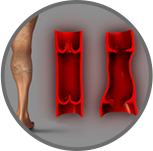 Thrombosis - This is the development of blood clots that form in the dilated vein.